Here are the best tips on SEO for startups. Do you want to grow your new website? This post will 100% help you in SEO of your startup website. Are you a startup owner? or Are you planning for a startup? Startups have initially lots of struggle in reaching the right audience. The first step in reaching the right audience with a small duration is a WEBSITE. The Internet has great potential for the business. The second step will be to promote your website on search engine & other digital platforms. You need the best SEO services for first page ranking on Google. SEO or Search Engine Optimization is an organic (freeway) way to reach the right audience through search engines. SEO plays a major role in improving your website ranking on Google SERP. If you are a startup and planning for a startup then SEO is must for you. SEO is a long-term and high ROI digital marketing tactic. 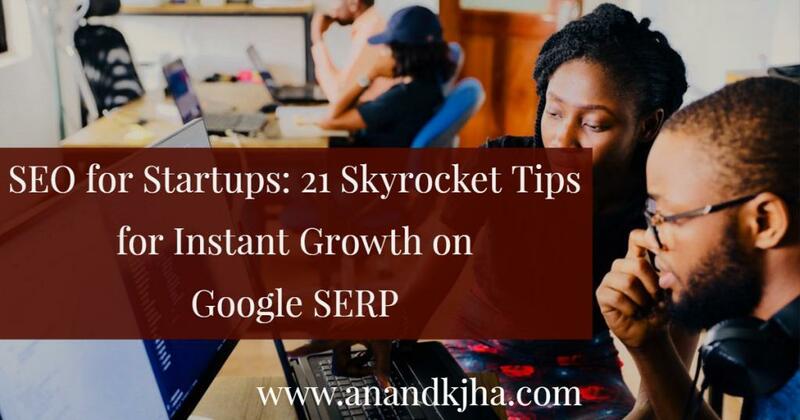 Here I am going to share with you 21 skyrocket tips for instant growth on Google SERP. First of all, let me introduce you to Google SERP. What is the Google SERP? What is the potential of Google SERP? How to make a presence on Google SERP? How to reach the top of Google SERP? These are search results which come on after putting a query in Google by the user. Every query has different results or you can say different Google SERP. Google SERP has a great potential of more than billion searches in a day all over the world. Most of the buyer journey starts on Google SERP. SEO is the best way to make a business presence in organic results of Google SERP. Let’s learn these 21 advanced SEO tactics for Startups website. In this technical audit and fixes section, firstly we will check the technical status by different tests of the website which includes algorithm penalty mobile-friendly pages, ethical coding testing, web features, user experience and bot experience testings. This is one of the most important updates by Google in July 2018 that secure pages will get a ranking boost. How to make your website secure? Here some points to secure your website from malware and hacking if your website is on WordPress. Install SSL certificate with a green padlock. Under on page optimization section, meta tags optimization comes. In this meta tags optimization, we optimize the title and description with focus keyword. Heading tags are the HTML tags used in designing of web pages. These tags optimization with focus keywords bring great results. Compressing the images to improve page speed. In recent Google update in June 2018, video carousel appearance is important in every search. If you will optimize your videos with focus keyword then you will have a chance to appear in video carousel results. Always include a related video on the landing page and share it on social media. Internal linking is an on-page optimization tactic which is used to increase the credibility and information of the landing page. This is an ethical SEO tactic to pass link juice and authority to one page to another. This tactic is very helpful in first-page ranking improvements. External linking is also an on-page optimization tactic which is used to increase the credibility and resources of the landing page. If you give links to authoritative or detailed information site then you will get a ranking boost. Focus keyword optimization is an on-page optimization tactic in which you set one focus keyword for every landing page. You need to do high-quality research before selecting a low competition and high potential keyword. Maintain the keyword density of 2-4% on the landing page. 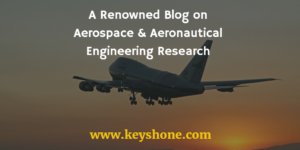 Keyword research is a vast field and it has a great role in successful SEO & PPC campaign. Choosing the right keywords saves lots of time and money in a digital marketing campaign. Use advanced tools like Google Ads keyword planner, Ubbersuggest, Keyword tool etc.. Read my post on top freemiums keyword research tools here. Link building is the most important part in SEO. Initially, you need votes or backlinks from other websites to get a position in Google SERP. More you have authoritative and relevant backlinks more will be your organic traffic to your website. Social media posting and sharing indirectly help in keyword ranking improvements. More you have share and engagement on your post more you will get a ranking boost. Always share useful and easy digestive content on social media so that it can reach more audience. If your brand gets mentioned in a different website and especially on high authority website then you get keywords ranking and traffic boost. Brand mentions help in many ways to the website. Always try to be mentioned in positive reviews. Content matters in SEO. According to data, more than 1000 words content has a higher chance to get featured at top of results as compared to less than 1000 words content. A 1000+ words content improve bounce rate, average duration, and conversions. This is a part of on-page optimization but it’s overlooked so many times by website owners. Readability is the most overlooked factor in on page SEO. Readability is the ability of the user to read and understand your content more easily. Footer links are most important because search bots crawl footer area of the website more precisely. So, it is recommended that you add relevant and important links in the footer of the website with contact details. You can also embed a map, social media pages links, terms & policies etc..
Google my business is the great digital platform provided by Google for small and local businesses. You should optimize your Google my business profile by adding all relevant information, business name, category, more relevant images and of course positive review from real clients. This tactic of creating local area pages helps a lot in reaching your local customers quickly and easily. The local area pages must be optimized properly. Find out your niche influencers at Buzzsumo, Followerwonk, Buzzsteam. When they will share your case study, services, product or content then you will get a huge amount of mentions, traffic and at last conversions. These 21 SEO tactics are tested and proven by SEOs for startups website. I hope this post will help you with your startup GROWTH. If you want me to handle your website SEO and help you in website top ranking then request a free website audit here. Please share this post with colleagues those who are facing problem in website SEO.